Daniel is a great instructor and I would highly recommend him. He got me through my test with ease and a big fat pass! 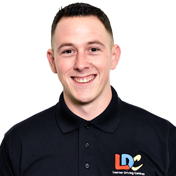 The LDC workbook really helped me with my home study and the LDC Hub is fantastic – plus it's free! Overall I couldn't be happier, keep up the good work pal. 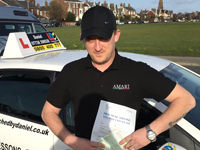 I'm a driving instructor in Blackpool, Thornton, Cleveleys, Fleetwood, Poulton-le-Fylde, Bispham, Singleton, Hambleton, Knott End, Preesall, Staining, St Annes, Lytham, Great Eccleston, Elswick and surrounding areas.